NEW YORK--(October 16, 2018)—EasyVista Inc., a leading provider of service management software for IT organizations, today announced that they will be showcasing its latest product release at Service Management World in Orlando, FL, October 15-17. Oxygen, the latest release of the EasyVista product portfolio was developed to optimize IT support and service delivery to accelerate enterprise digital transformation. 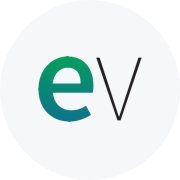 The updates to EV Service Manager and EV Self Help includes the integration of the brand’s proprietary Service Apps technology and its new EasyVista Intelligence Engine (EVie), a command interface that uses intelligent automation to execute repetitive and complex tasks for IT staff. Together, these technologies enable organizations to augment ITSM employee experiences with powerful context-aware automation, AI-driven recommendations, intelligent knowledge, and persona-based dashboards and applications. “The Oxygen release showcases our objective to ignite digital transformation for our customers by delivering the tools they need to power a new way of work. The powerful combination of ITSM automation and intuitive employee experiences enable a new generation of self-service and service delivery, one powered by knowledge and intelligent automation. EasyVista’s enhancements to EV Service Manager and EV Self Help have gone above and beyond to meet the needs of our customers,” said Sylvain Gauthier, CEO, EasyVista. Igniting digital transformation will be the central theme at EasyVista’s EV Connect global user conference in Paris, France on November 9 as the company shares details on the availability of the Oxygen update, which is planned for release later this year. “The key capabilities made available to our customers in the Oxygen release of our EasyVista platform showcases how important ITSM is for digital transformation. The thought that companies could – and should – spur innovation within their workforce by providing a more efficient means of getting the support and services they need to be productive is something that we took to heart when developing Oxygen,” stated EasyVista Chief Marketing Officer, John Prestridge.